Lately Enkore has been posting some throwback’s with the Hashtag #LibraScale. 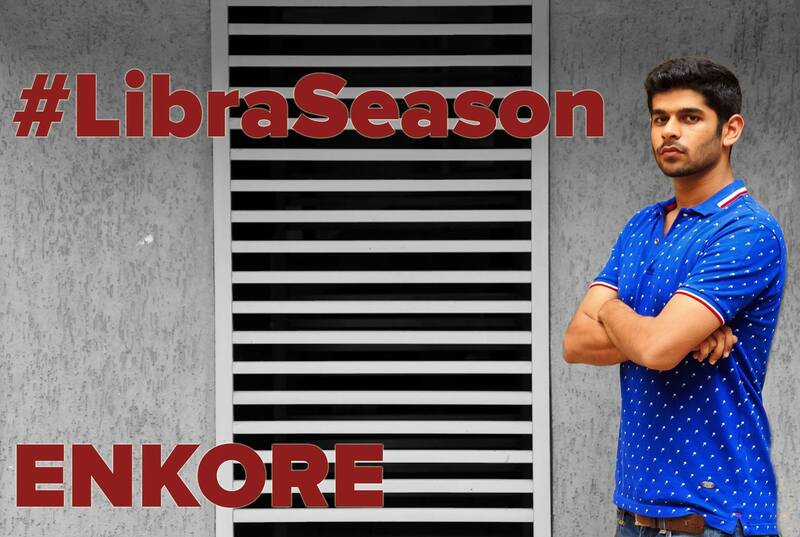 It seems he has declared that he is finally dropping an album titled ‘Libra Scale’.The Bombay favorite is also the co-founder, “Voice of tha People” which is working for the same cause as ours and that is promotion and proliferation of hip-hop. Enkore has been present in the scene since the time hip-hop was prevalent here. He has always gone out of his way to put the Bay on the map. From killing it in the cyphers to releasing fresh music, this dogg is a killer. One of the best lyricists in the game and unbeatable styles in flows, there is no reason why Enkore should not enjoy a good reception to his upcoming project. Q1. What has the bombay’s favourite rapper been upto ? A. Man the last couple years have been a real learning experience for me man. I feel like I’ve just been working on this new album for what seems like every single day for a year and half or so. But of course I couldn’t keep away completely and I’ve done a couple of commercial projects, a bunch of shows in Mumbai Delhi Pune, a few features and dropped a couple of joints on my soundcloud and YouTube as well over the last couple years… But all that was just foreplay. Q2. Explain the relevance of Libra season to your followers ? A. #LibraSeason is just me letting everybody know it’s my time! Haha but to break down a little more, someone I was very close to was extremely into sunsigns and stuff and that’s when I realised how much I identify with my libran traits. The album, thematically, revolves around them as well. Q3. Other than being a dope emcee you are working on promoting the culture, how is the experience been ? A. Doing whatever we can to push Indian hip hop at Voice of Tha People is a wonderful feeling man. As I’m sure you’ll agree with your work at Desi Hip Hop, its not easy at all. There’s petty beefs and egos at times but when everyone realises the culture is bigger than any one of us, its a beautiful thing. Shouts out to Battle Bars Bombay, Desi Rapper Show, Pune Hip Hop Revolution, Spit Dope Inc and everybody else pushing for Indian hip hop too! Q4. The new album is coming out, what is theme and what are the features on it. ? A. As I alluded to previously, the album’s theme has a lot to do with my Libran traits, and more specifically that of balance. Without giving too much away I just want to say that the album tackles a lot of the things that I touched upon with the #LibraSeason release.. My story as just an everyday Indian trying to get somewhere and the not so everyday experiences and observations. Details about the features will be out soon when I drop the tracklist but if you’re expecting this to be just another album or mixtape, I guarantee a couple of surprises. Q5. Any message for the fans and followers, and what would you like to say to the upcomers.